What it does: provides detailed question-level course evaluation information for a single instructor for a single course. 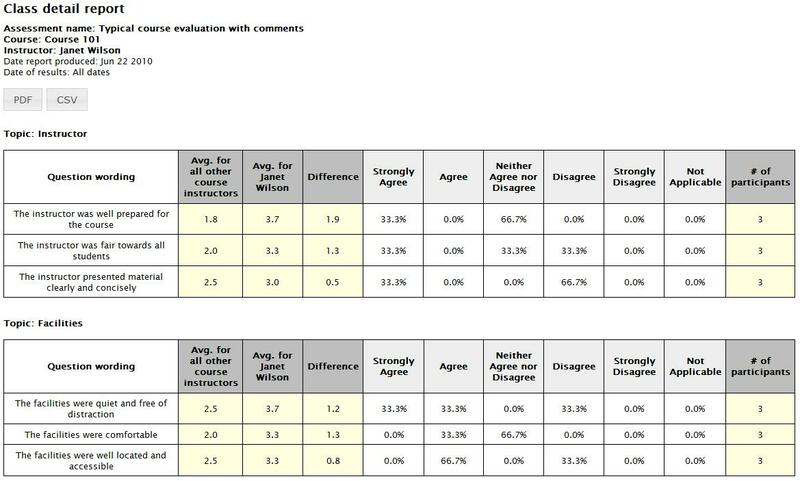 Who should use it: This report is ideal for managers and learning/education/training professionals desiring to analyze detailed course evaluation responses to help improve future learning experiences. How it looks: Participant comments are listed if this qualitative data was captured. As with every report in Questionmark Analytics, PDF and CSV distribution formats are available.